Every year thousands of citizens take to their bikes, pedaling to raise funds for a cause. Giving value to each pedal stroke by donating their personal time, effort and money to local and national causes. Some cyclists are motivated by personal reasons, perhaps an ill family member, friend or co-worker, others simply because giving is the right thing to do when one is able-bodied. Contribution is a two way street in the cycling community of Colorado. Riders ride and donate, event organizers often give back to the communities that helps them make a nice ride on a bike for a purpose possible. Sports and charity have a long tradition, and so, in recognition of the event organizers who select and organize under the name of charity, and with a nod of thanks to the riders who participate - I present this list of charity cycling events in Colorado for 2015 and a list of non-profits helping to advance cycling to youths and adults. © Copyright content of this post by Karen Rakestraw / Pedal Dancer® is a trademark for all online content.© All Photos by Karen Rakestraw. Did you know that organizers of the Triple Bypass have donated over $1.3 million to various community charities over the past ten years? Your registration fees pay for far more than an excellent ride and a slice of fresh orange. "Team Evergreen actively supports bicycling and related activities to further the sport of cycling and promote its continued growth and safe enjoyment." 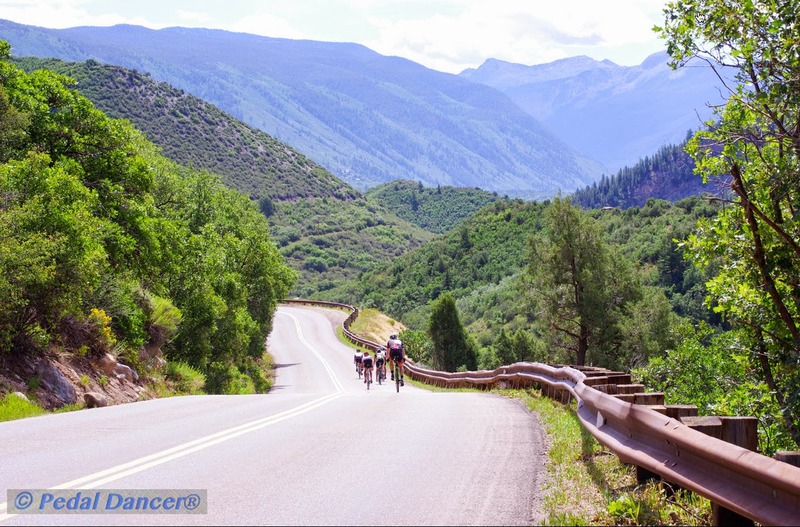 Although a for profit event, Ride the Rockies, the week-long bicycle tour that winds it's way through a section of Colorado every year, will award a $5000 grant to a non-profit organization based in each of the seven host cities in 2015. Ride the Rockies and Pedal the Plains multi-day event rides are both sponsored by The Denver Post and organized by the same people, Pedal the Plains donates to The Denver Post Community Foundation. You may also be guaranteed an entry into Ride the Rockies 2015 if you join Trips for Kids by March 1, 2015 and raise at least $500 for the non-profit. Every year these special event bike rides take place in various states across our nation. Bicycle Colorado - Mission to encourage and promote bicycling, increase safety, improve conditions and provide a voice for cyclists in Colorado. Bicycles for Humanity - Bicycles delivered through community based bike shops-provide sustainable mobility solutions for rural Africans. Bike Denver - Denver’s bicycle advocacy organization and the leading non-profit to promote and encourage bicycling as an energy efficient, non-polluting, healthy and enjoyable transportation alternative in and around Denver. Bike Depot - Donated Bicycles are recycled to low income local residents through Earn A Bike programs, offers affordable service and a Fix Your Bike program. Bikes for Life - Children's Hospital Colorado launched Bikes For Life, a program created to help kids develop healthy lifestyle habits through bicycling, since 2011. Bikes & Build, Inc. - Organizes cross-country bicycle trips which benefit affordable housing groups. Specifically funds projects planned and executed by young adults. Cyclo Femme - Cyclo Femme is a Global Women's Cycling Day created TO HONOR THE PAST, to celebrate the present, the empower the future. 2015 date: May 10th. Davis Phinney Foundation for Parkinson's - Sponsors programs that provide the information, tools and inspiration that can be used to live well with Parkinson’s today. Dong's Cycling Pals - Founded in 2011 to honor our pal Dong Ngo, their goal is to inspire elementary school children to discover the joys of riding bikes. DCP offers fix a flat classes, and free repair and wrenching at charity events. Fort Collins Bicycle Co-op - Works in the community to offer bike refurbishing and maintenance, community education and bike safety. Also gives bikes away to non-profit or for volunteered time. Kids on Bikes - Vision that all children have the opportunity to experience the freedom and joy of owning their own bikes while gaining confidence. People for Bikes - Founded by bicycle industry leaders with the mission of "putting more people on bikes more often by connecting millions of riders," they hope to be a single powerful voice for bicycling. Project Recycle - Douglas county based non-profit, encouraging kids to earn a bike by improving in 3 areas: Respect, Attendance and Academic Growth. They recycle bicycles to benefit world youth. Reasons 2 Ride - Inspiring a healthy, happy community by motivating people to connect with businesses and each other through bicycling. Ride for Reading - To help children in low-income areas become healthy and literate. The Axel Project - Axel Project is a nonprofit organization dedicated to the fundamental principle that a productive, happy life begins with bikes. RideTime is aimed at providing bicycles, gear, instruction, and educational materials to schools. Trips for Kids - Operating in the United States, Canada, Israel and Sierra Leone. Comprised of three programs: youth programs, the Ride Program, and Earn a Bike Programs, as well as social enterprise. Wish for Wheels - Founded in 2004, their goal is to give as many kids as possible brand new bikes and helmets, to bring communities together. Assisted Cycling Tours - Bike and multi-sport adventures for people with disabilities and their families. © Copyright content of this post by Karen Rakestraw / Pedal Dancer® is a trademark for all online content. © All Photos by Karen Rakestraw.